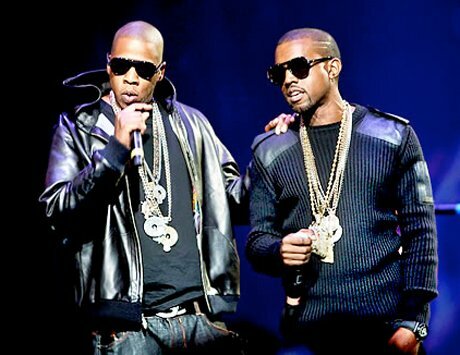 Jay-Z and Kanye West got in hot legal soup earlier this year when soul singer Syl Johnson sued the pair for lifting part of his song "Different Strokes" for Watch the Throne deluxe edition track "The Joy," but the rappers have now hit back and are denying any wrongdoing. In a response to the Johnson lawsuit on Thursday (December 15), the duo denied many of the singer's allegations, reports Billboard. In fact, they still won't even admit that they used Johnson's song. Yeezy and Jigga's argument rests on the fact that since "Different Strokes" was released in the late '60s, it is exempt from current U.S. federal copyright laws, which were amended in 1972 to include sound recordings. Therefore, according to the Throne, the song is fair game. That is, if they even used the track to begin with. The response reads: "Any claim based on the alleged use of Plaintiffs' recording is is barred because, inter alia, (a) the allegedly copied portion of the Plaintiff's recording is not part of the musical composition; and, if it is part of the composition, (b) is not protectable and/or (c) any use was de minimus." Earlier this month, Johnson spoke with Billboard about his two recent Grammy nods for last year's Syl Johnson: Complete Mythology box set, and claimed that he should have got a third nom for Watch the Throne. He also dished on his relationship with the rappers. "[Kanye] said he wanted to meet with me and apologize -- since I sued him -- but I didn't sue him to be smart," added Johnson. "I sued him because that's the right thing to do man. I'm a musician."